When it comes to protecting your property in the modern era there are a lot of options out there. One of the best things you can do is have security cameras installed on your property. These silent sentries allow you to monitor and record everything that happens. What features should you look for in a security camera? Let’s take a look. If you want to have the best image quality from your cameras when recording or monitoring the cameras you need HD quality recording. HD quality allows you to make out all of the details that the camera captures. From facial features to clothing details, you can make it all out. The higher the quality of the recording, the more you can zoom in after the fact. 1080P and 4K UHD cameras are the highest definition cameras that you can get. Looking for cameras with either quality is a must. Pan tilt zoom cameras are amazing because they allow you to turn the lens on a camera so that you can move the camera around to point at different locations. From following a person to scanning a full room, PTZ features can come in handy. Cameras with PTZ may cost more but they offer far more coverage. Some people don’t like to have constant recording because they would have to review it all to find out if anything has happened. Security cameras are starting to feature motion activated recording where when an object moves across the camera the device starts to record. You can set how long it records for and that saves space and reduces the amount of footage you have to watch to find incidents. Many motion activated cameras also give you the ability to get a notification on your phone when there is motion on a camera. That way you can tell if someone is trying to break in to your house when you aren’t there. Being able to see in the dark/low lighting with your security cameras is important. Unless you keep the lights on all night, you won’t be able to see what is going on. A high-quality camera lens in combination with EXIR technology will allow you to see night time almost as if it was day. Good cameras will also turn to black and white at night which allows more quality to be captured. In the age of the internet it is important to be able to access camera systems from wherever you are. The best camera systems allow you to monitor and view recordings from aphone or computer. A good interface is also needed along with being able to download your footage. Some camera systems require you to pay a monthly fee in order to have remote viewing. Take a look at every system you are interested in and factor in whether you have to pay or not. Network Video Recorders come with most camera systems now a days but looking for one with an upgradable hard drive. You want to be able to add more storage space if you start to fill up your hard drive with recorded footage. 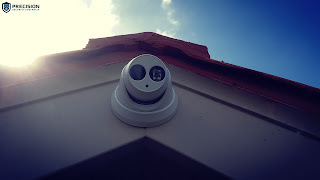 Having cameras on the outside of your property might be a requirement depending on your individual security needs but if you do need on outdoors, you will want it to be weatherproof. There are a variety of weatherproofing options available in cameras. The top of the line cameras are able to be outside in all conditions. With the new software that is available today you can now have your security cameras alert you when an object leaves the area of the camera. For example, if your antique painting is taken off the wall, it will be able to alert you. Similarly you can also have cameras that trigger alerts if an object is left behind. 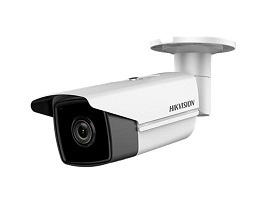 Also these cameras provide facial recognition, so you can enhance your security and safety with this feature. Now you know some of the most important features that security cameras come with. Keep an eye out for these features when you are looking to have the cameras installed. It also helps to look at the reviews for the camera system on online stores or a similar service to get an idea of how customers like them. How Often Do Stores Check Their Security Cameras? Security cameras have been in use in stores for ages and since they were first used they have helped to stop crimes. Stores of all kinds have implemented security cameras. Grocery stores, convenience stores, electronics stores, and even clothing stores all have security cameras on the property. One common question among store owners is: how often do stores check their security cameras? Am I checking them enough? For most stores, the answer is not often enough. It is common practice to only check the security cameras when something has gone wrong. That means after someone has stolen, when they see someone stealing, or after a safety incident. In most cases that means that you can’t actually prevent crime, just respond to it. Depending on the location of the store, crimes significant enough to check security footage for could only happen once a month or so. The state of the world has left many people worry about their safety and security. That has led to the installation of security cameras. Whether you are a homeowner or a business owner, chances are you have at least considered installing security cameras. One concern that all users of security camera brands have, is vulnerabilities. They want to know if their security camera system will have any vulnerabilities. Do security cameras have vulnerabilities?